Diva Devotee: [Unreleased Music] Mariah Carey "I Feel It"
[Unreleased Music] Mariah Carey "I Feel It"
Having been left decidedly unimpressed by Mariah Carey's latest single, Triumphant (Get 'Em), I've taken to delving into the Diva's back catalogue to get my Carey fix- well, at least until the next song drops. It was during this musical excursion that I happened to rediscover I Feel It, and thought I'd share it. Originally recorded for The Emancipation Of Mimi album, the soul-infused track failed to make it on to the set due to the (heavily used) sample- The Dynamic Superiors' Here Comes That Feeling Again- being revoked at the last minute. Darn them and their principles!! Luckily the song leaked in 2007, so we got to hear it anyway! Ahh it has the classic Mimi sound to it. Something Triumphant surprisingly lacks. Im hoping to hear some more of something like this or something from Daydream, but alas Mariah loves her urban sound so...we shall see. On another note DD have you heard Rebecca Fergusons new single "Run Free"? It has a very nice up tempo to its rather deep and personal lyrical expressions. Love it! Its nice to hear her deliver in a more full bodied voice, too often underused these days! I like it. Definitely sounds like it belongs on Emancipation. But does this sound a lot like "Stay the Night" (I think that's what it's called) from the same album to anyone else? 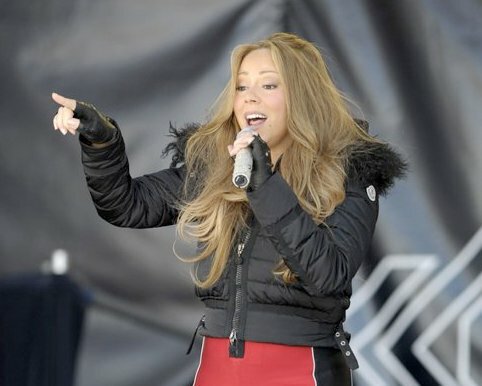 THIS IS THE MARIAH I WANT! Listen to how she is SANGIN' this and not just singing trying to be cute. She is going full out and i love and miss it!